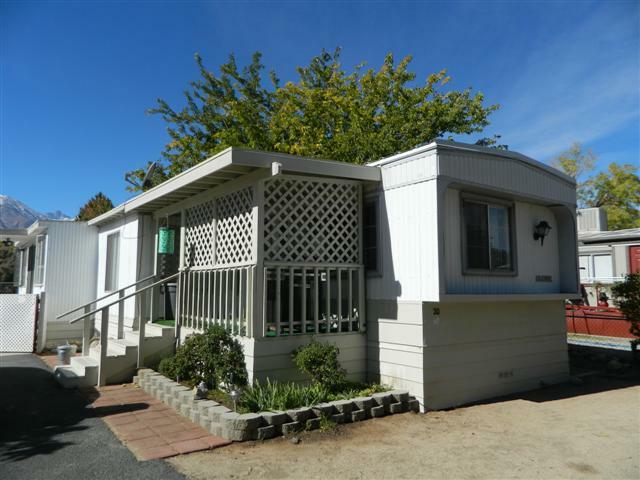 This 2 bedroom, 2 bath mobile home is located on the south end of Big Pine. The space rent is only $280.00 + 20.00 for Sewer. Many upgrades have been made including a reverse osmosis system in the kitchen, New metal roof and roof upgrades, new fencing, new carpet in the master bedroom and bath. New skirting. The home offers a patio room addition with new slider, auto drip irrigation, refrigerator, washer, dryer, sharp A/C unit and webber BBQ.